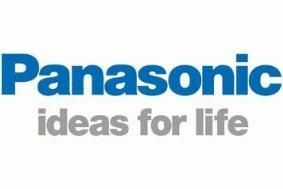 JAPAN NEWS: Panasonic in 'buy it yourself' plea to senior staff | What Hi-Fi? The Osaka-based giant is urging its 10,000 managers and directors to each spend at least 100,000 yen (about £760) on its products, in an effort to boost sales. According to reports from Japan, the company is asking its managers in Japan to buy the products by July, seemingly in an effort to get some turnover going, while directors are being encouraged to spend at least Y200,000 (just over £1500) in the same period. The move follows an announcement by Toyota that its 2000+ general managers in Japan are planning to buy new cars from the company before the financial year closes at the end of March, in a voluntary effort to help earnings. But the Panasonic move appears to be coming from the company, not the workforce. Panasonic, the world's largest manufacturer of plasma TVs, announced recently that it expected to make a loss of Y380bn (almost £2.9bn) for the 2008-9 financial year, and plans to cut 15,000 jobs.